I'm linking up with Christina, from Bunting, Books, and Bainbridge! 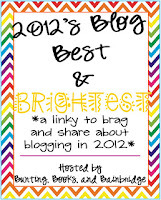 She is currently hosting a linky to share (brag about) your blog's best and brightest moments from the year 2012 as well as brag about other fellow bloggers. I only began blogging this past October, but I would still like to share my best and brightest moments from the past 3 months with you. I will share a couple of my most popular posts. I will also brag about one fellow blogger that has really helped to welcome me into the blogging world. This was my very first linky party that I participated in and by far my most popular post so far. I linked up with Freebielicious to share one of my forever freebies. 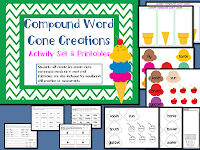 Compound Word Cone Creations is the free product that I shared. 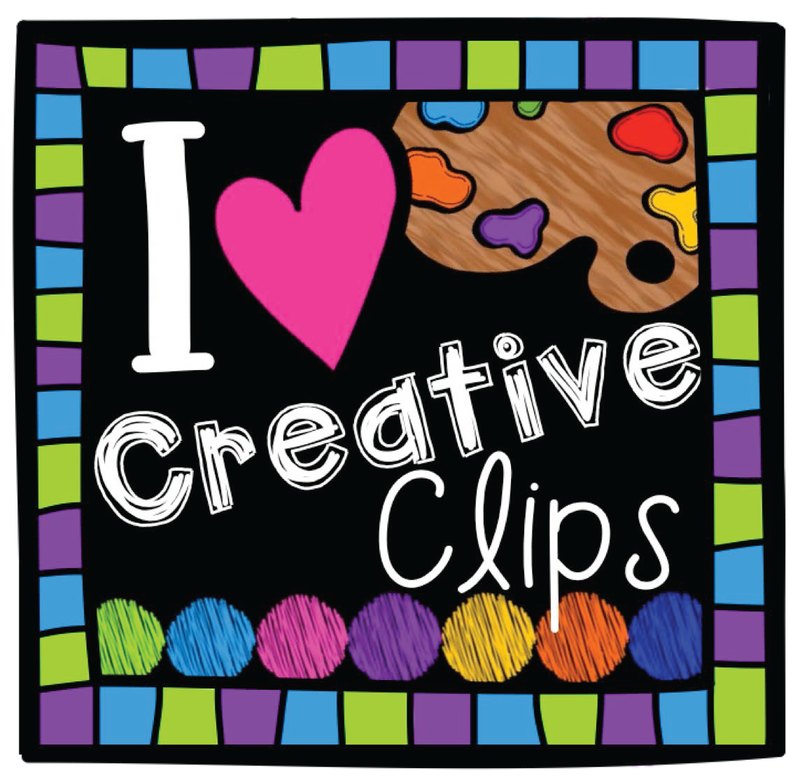 It is a 13 page activity set with printables. I am very proud of how this product turned out and completely shocked at the number of times it was downloaded!! Click on the picture below to get your free copy from my TpT store. This post was my third most popular this past year. This particular Friday was special not only because it was my weekly FREEBIE Friday, but also because I released my Christmas ABC Order FREEBIE. 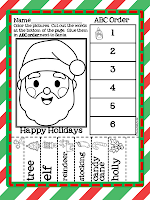 Ever since I opened my TpT store this past September and begain selling my products, I have created a holiday/seasonal ABC Order Cut and Paste Activity (these seem to be very popular)for each holiday. This post let my followers know that the Christmas one had just been uploaded to my TpT store. Click on the picture below if you would like to download this activity. Thanks for allowing me to brag about myself but before I end this post I would like to brag about a fellow blogger who has been tremendously helpful and welcoming the past few months as I began my blogging adventure! The one and only School Supply Addict, Ms. Ashley Hughes has been a tremendous help these past few months and I cannot thank her enough! 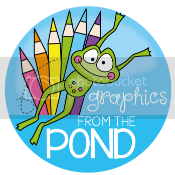 Not only does she create wonderful clipart that makes my life easier when creating products, but she is also very helpful in giving me great feedback about my TpT store and blog. 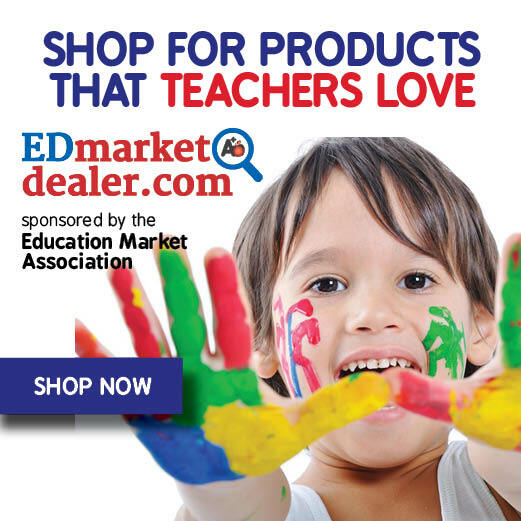 Her blog is a must see for anybody in the world of education. Click on her button below to check it out for yourself. What a fun way ro reminisce on 2012 (well 3 months of it anyway)! If you would like to link up and share your best moments from 2012, simply click on the picture at the beginning of this post. Your freebie looks great. I agree about Ashley - she rocks my socks off! Thanks for linking up... and welcome to blogging! Your freebie is SO cute! I am excited to be part of your Friday freebie!! I am a new follower!! I just discovered your cute, cute blog and am your newest follower! I'd love for you to come join my Resolution Solution Linky Party! Thanks for stopping by and becoming my newest follower. It is very much appreciated! I'm heading over to your blog now-I love Linky Parties.